Every pair of OOFOS is engineered to help your feet recover in ways that typical footwear can't. OOFOS. Your feet earned this. 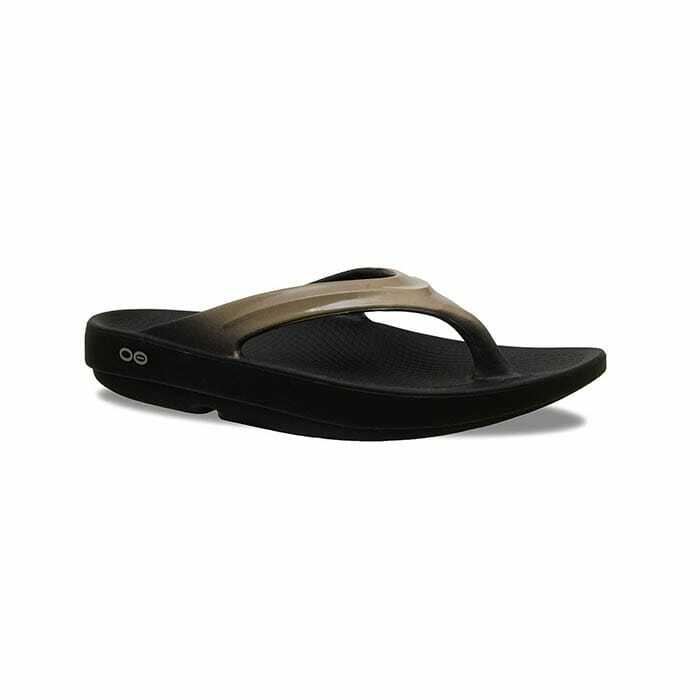 The OOfos Womens OOlala Latte is engineered to help your feet recover. OOfos understands that you spend your day on your feet. From work to play, your feet take a beating all day. They deserve a break. We kicked up the style quotient with two-toned good looks you can wear all day, glossy uppers, bold colors, and a slimmer, more streamlined silhouette. Expect the same OOfoam technology and patented footbed design as our OOriginal to take the stress off tired feet and joints. Your feet work hard – and they’re likely to have another workout tomorrow. That’s why every pair of OOFOS is engineered to help your feet recover in ways that typical footwear can’t. OOFOS. Your feet earned this. Available now!